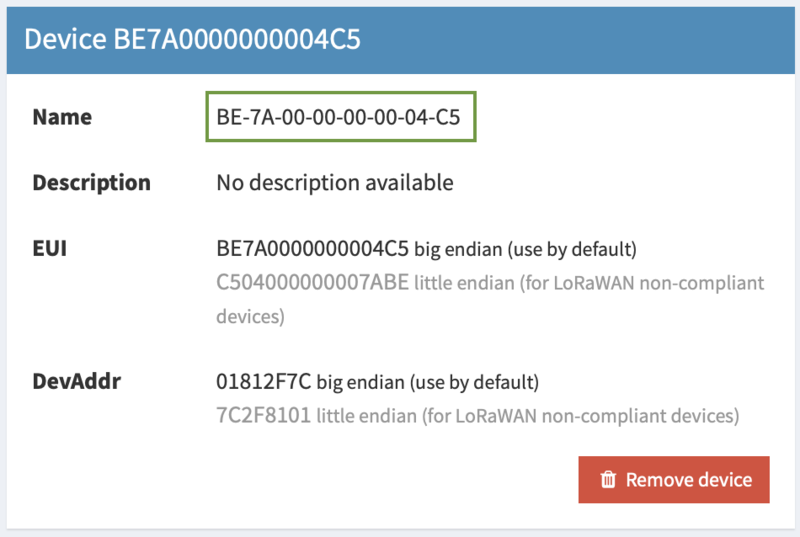 With this article, the user will be instructed on how to integrate Loriot LoRaWan Network provider with TagoIO, and how to get data from your account at Loriot to your account at TagoIO. In order to complete the integration, you will need to follow the two steps below and access your accounts at Loriot and TagoIO. To receive uplink messages, you will need to login to your Loriot account and register a connector. Log in to your Loriot account, and go to your application. There, click on Edit Output. Then, click on the edit button. On Authorization, type a secret text here, this text will be used by TagoIO as a verification code for your device. 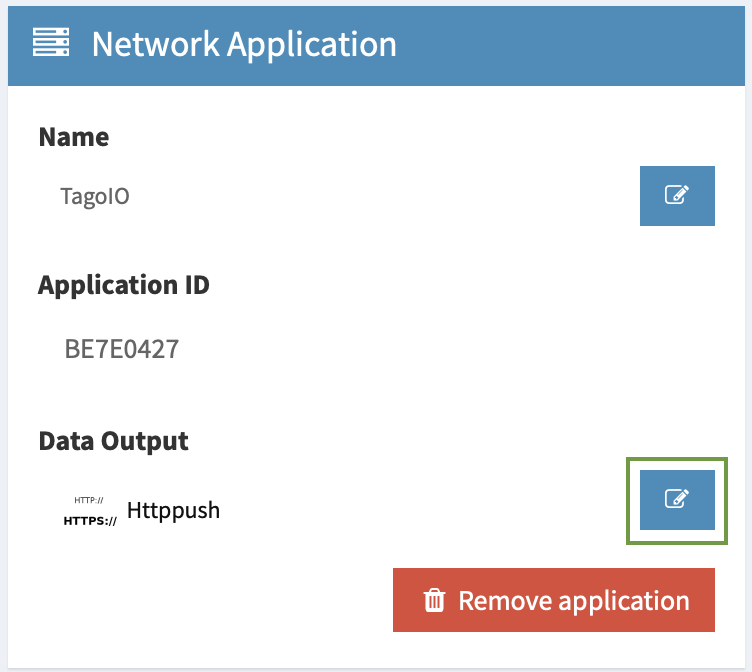 The “Authorization” is required for the connection to work, and the same exact text should be entered during the Device registration at TagoIO. To finalize, click on Confirm change. 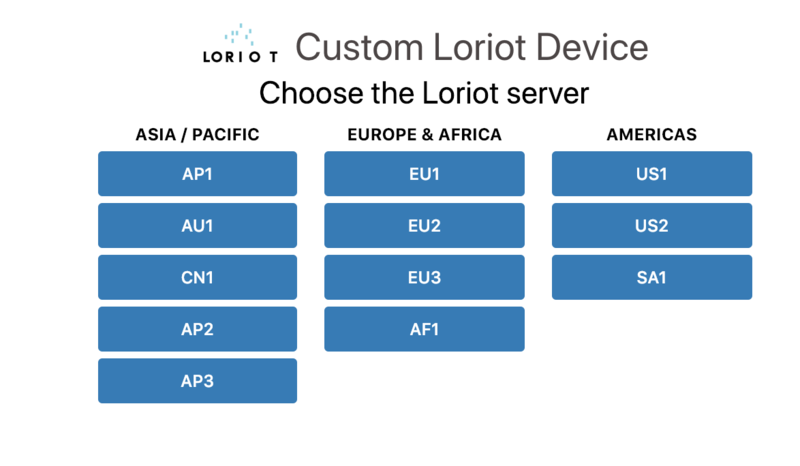 Access the Device registration page (Add Device), select Loriot Custom Device or any other that contains the type of device you want, and select your Loriot server. Then, you need to fill in a form with your Loriot information. Continue reading to learn how to get this information from Loriot. 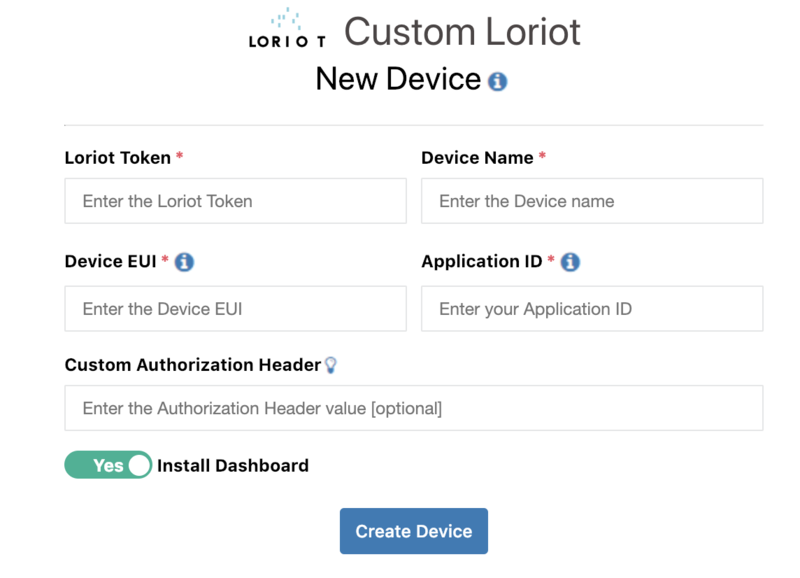 Loriot Token: at Loriot, go to your application, then go to Access Tokens, click the icon to show the token and copy it. Device EUI: at Loriot, go to your application, click on Devices, select your device and you will see the EUI. Application ID: at Loriot, go to your application and you will see the application ID. Custom Authorization Header: this is the text you typed when creating the connector. 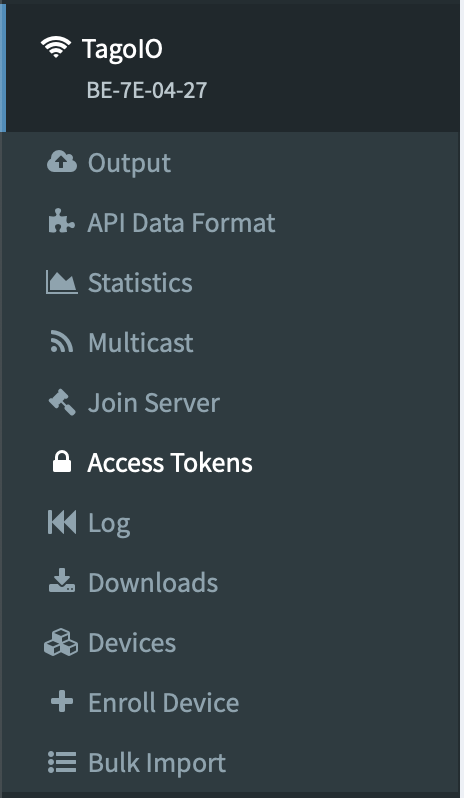 At Loriot, go to your application, click on Output and you can see the Authorization you've created before. 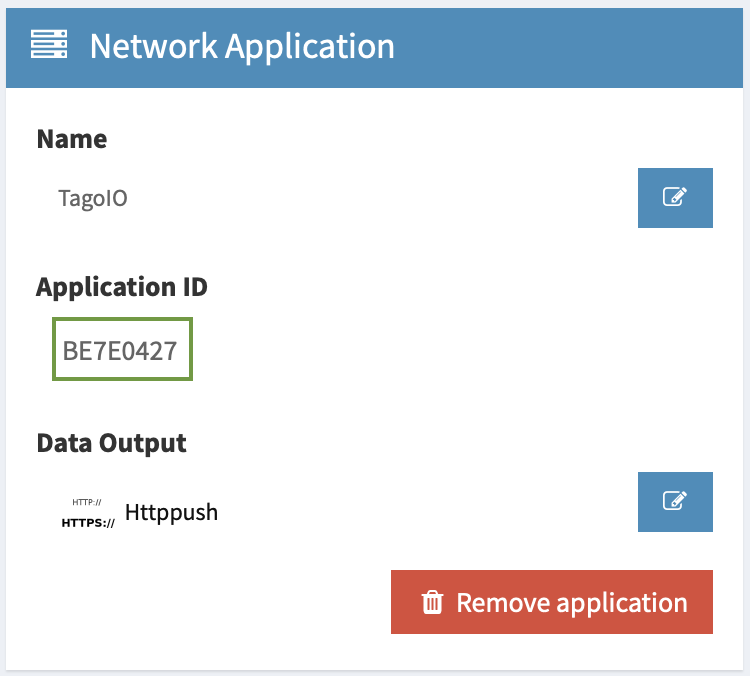 Every time your device sends data through Loriot, that data is sent to TagoIO as well. By default, some fields of the variables are filtered out so that it will not be saved in your data bucket. You can control what to ignore or keep here. If you need to change parameters of this device later, just go to the Device list, select it, and edit what you need. For example, the Device EUI is located in the Serial Number field under 'Tokens' tab. In order to perform Downlink operations check the documentation here.